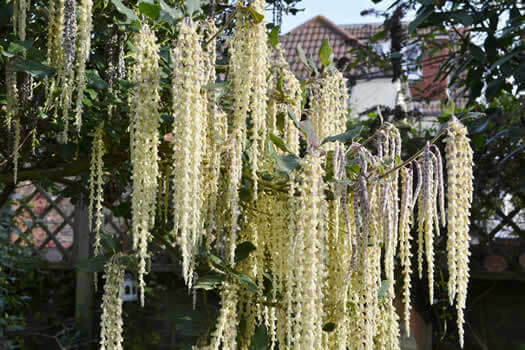 This unusual evergreen shrub gives an attractive winter display of long pendulous catkins, 20 - 30cm long and cream in colour. 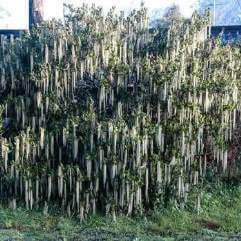 James Roof has the longest catkins on any Garrya. Good screen, specimen or pot plant.